When Henry VIII destroyed Barnwell Priory, Cambridge, in 1538 he altered the locality for ever. In two parallel stories, one Tudor, the other set in 1990, we see how the Evil men do lives after them affecting the places we live in, but that the Good redeems itself in many ways. A murder at Stourbridge Fair in 1534, the suicide of a Homeless Project Manager hounded in 1990, the loss of a new-born baby and the painful end of Margaret Clifton, local visionary and artist, form parts of Ann Hales-Tooke’s carefully researched story. The exciting action moves at times from Barnwell to Ely, Walsingham Norfolk, to Smithfield, Newgate Prison and the Tyburn Gallows. A Barnwell resident for 30 years, Ann describes in a fast moving narrative that is a fascinating blend of historical fact and fiction, tragedies and resurgences of community spirit that can transform a neighbourhood. Readers may also be interested in the author’s Memoir, ‘Journey into Solitude’, Milton Contact, 2006,under the name Ann Petre. 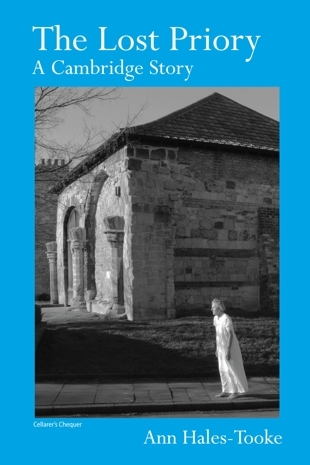 The Lost Priory is an historical novel written by Ann Hales-Tooke as a consequence of living for the last thirty years in the historical area of Barnwell, West Cambridge and above the remains of the Augustinian Priory. She began writing in the Sixties while living in Maids Causeway, opposite Midsummer Common, another very ancient area. As well as writing about the locality she became known as a publicist for Children in Hospital and the need for overnight accommodation for their parents. In 1972 she wrote with Eva Noble Play in Hospital, Faber and Faber. In 1974 Children in Hospital – the Parents View, Priory Press, became a popular handbook. After a spell of teaching in a Sub-normality Hospital she wrote, as Ann Hales The Children of Skylark Ward, 1978, C.U.P. Years of teaching, working as a counsellor and becoming a watercolour painter led to her writing, as Ann Petre, an account of the eight decades of her life. Journey into Solitude, 2006, Moyhill/Milton Publishing. Her interests in local history and family history come together in The Lost Priory. One of the author’s ancestors, Sir William Petre, Secretary to four Tudor sovereigns, appears in the story. Her knowledge of local affairs is also apparent in the more contemporary chapters of The Lost Priory.